My birthday dress* has kind of an interesting story, I didn't really like it because maxi dresses aren't my thing. That is, until my mom and three other people in the Century 21 dressing room told me I looked tall. Me. Tall. What? Ok, so I've never been told that before, only the zipper was broken and I didn't want to spend $60 on a partially ruined dress. But they said it made me look tall. Scoured Amazon. SCORED! Got it brand new for $13 dollars. As soon as I booked my plane tickets I knew it was meant to be my birthday dress. 25 is the year I stand tall. *Its always been a tradition that I get a new dress to wear on my birthday (and obviously afterwards) every year. 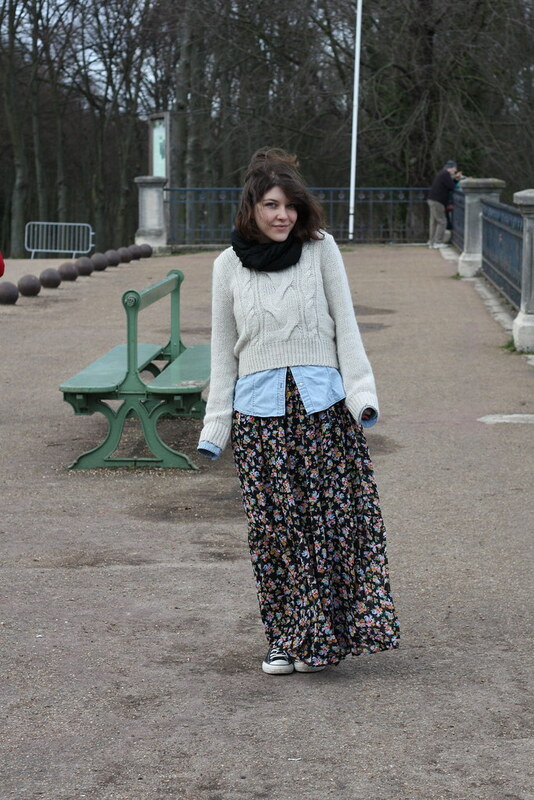 For daytime I layered it with warm clothes for traipsing all over Paris, pairing it with Converse and my un-pictured Fjallraven backpack filled with a picnic lunch. For nighttime which I'll have to snap some pictures of soon I lost the layers and put on some heels for a night spent celebrating. Yayy, I love your birthday dress! The only maxi I have is one my mom made in the 70s, and I don't think it makes me look tall at all, but strangely elegant while swishing around doing boring household things! Looking forward to seeing the night version one of these days. hahaha no, it got unexpectedly wintery up on that hill! 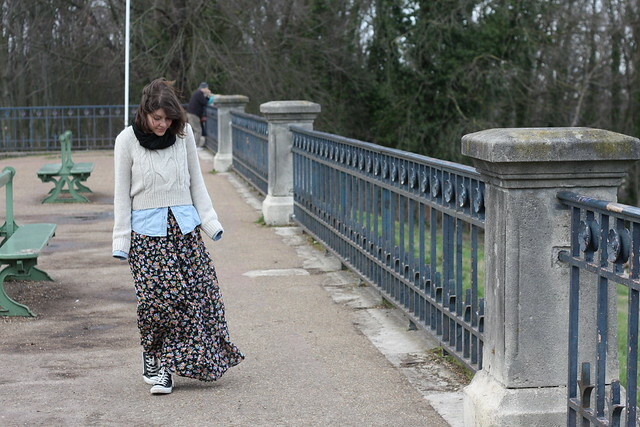 I need to learn some layering lessons from you! I love how it all looks together! Thanks!! I was SO excited to wear it. Sam told me my outfit looked Swedish, which I took as a huge compliment. I felt crazy elegant! You better post some grrrrowly leopard pics soon! I LOVE the dress and you look so beautiful in it, you should have maxi dresses more often, sweetness! yaaaaay I love this outfit so much. like I can't even explain to you how much. you look awesomely grungy yet cute! and I love that motto of standing tall this year. Beautiful. I'm sure you will. This ensemble is so very me! I love it. 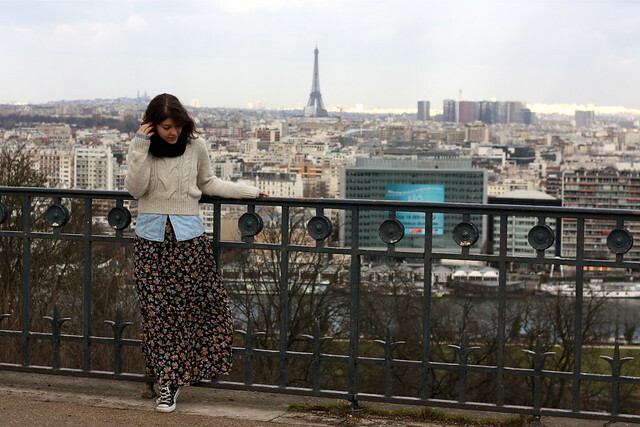 I think I might adopt your tradition and get a birthday dress annually too... Paris looks so beautiful.